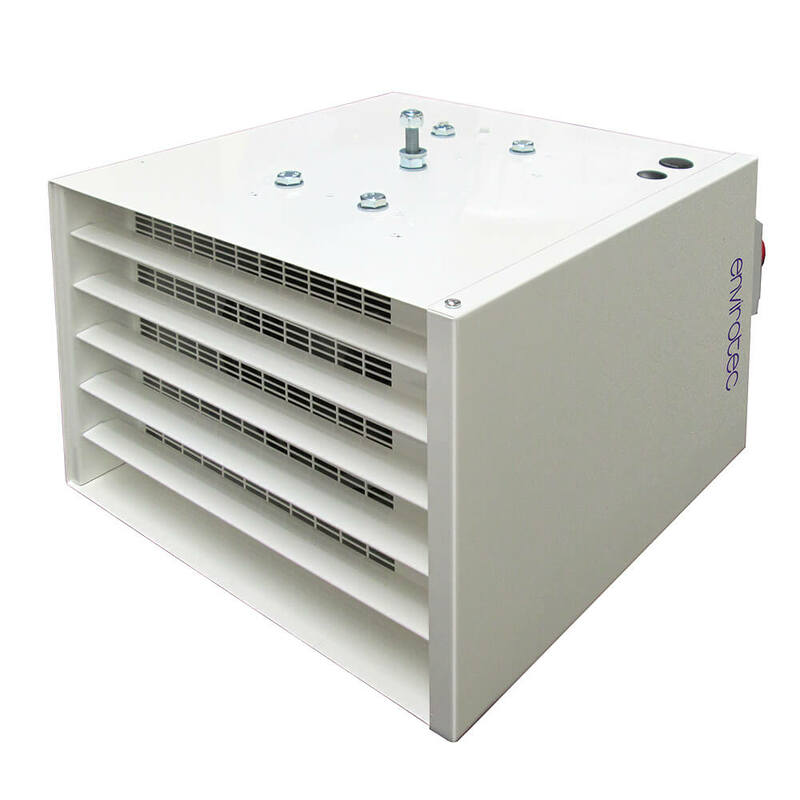 The TSR electric stock room heater is designed to be mounted up to 3 metres. It provides up to 7kW of thermostatically controlled heating with adjustable aerofoil discharge blades enabling the heated air to be directed. The TSR is provided with an installation kit to accommodate drop rod, wall or ceiling mounting.